Built in 1912, the Augusta Hotel boasts one of the best views of any hotel in Western Australia. It has a superb river front location high on the banks of the Hardy Inlet, where the Blackwood River meets the Southern Ocean. If you’re looking for accommodation with spectacular views and a central location, then this is the place for you. 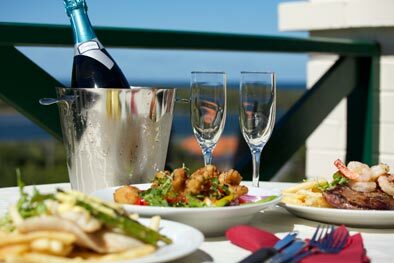 The Hotel is a family oriented and child friendly establishment featuring a lounge bar with bistro meals, Jimmy’s Grill, function room and very large grassed outdoor area. The perfect place to watch the whales go by and let the kids run free. Located just 320 km south of Perth, the Augusta region is one of Australia’s best kept secrets. The idyllic location, breathtaking coastline and natural attractions make it the perfect place to experience the wonders of the South West: the beauty of Southern Right and Humpback Whales in Flinders Bay, two oceans meeting at the Cape Leeuwin lighthouse, the peaceful serenity of Hamelin Bay, the enchanting underground local caves and, of course, the magnificent fishing of both the river and the sea. Come and try our delicious pizzas. Available on Friday and Saturday nights. Quality rooms and cottages with full facilities including in-house movies. 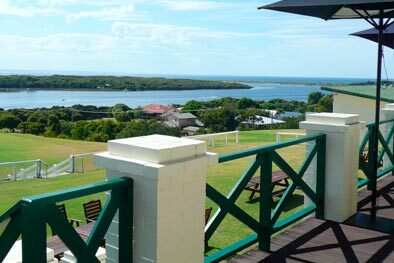 Most rooms and suites have outstanding views of the Southern Ocean at Finders Bay or the Blackwood River. Try something off our delicious new menu cooked by one of our great new chef's. Enjoy your meal by the toasty fire overlooking the Blackwood River where you can see the whales frolicking in the bay. 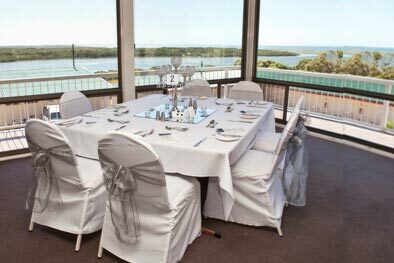 Two fantastic venues both with amazing views of the Blackwood River and the Southern Ocean. A great choice of food and beverage packages available, the Augusta Hotel is the perfect place for your special day.